Year 7 learners participated in a variety of activities where they had to complete mini challenges using logic, planning and team work. Learners were given a variety of goals that they needed to achieve before being given a number of themed based barriers that they had to overcome to complete the challenge. They used large resources to encourage communication and team skills as well as developing maths concepts and dialogue. 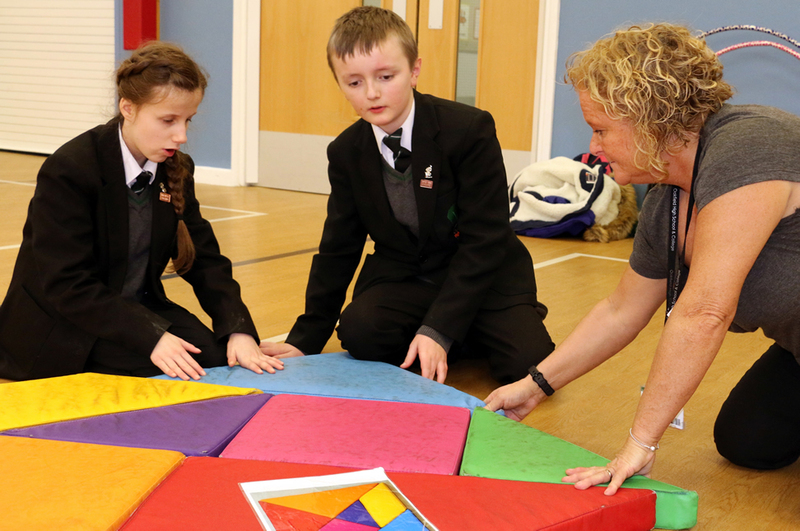 The maths activities help to foster a ‘can do’ attitude among the learners. We hope everyone enjoys the Easter break. We would like to say a big thanks to Chris Rowley at Motor Shine for donating his time and resources to raise £50 that will go to DKMS – blood cancer charity. Someone very dear to our hearts needs your help. Are you between the ages of 18 – 55? If so, please help us by attending Oakfield on 23rd April between 1pm – 6pm to be registered onto the blood stem and marrow donor list. Together we can save more lives. We lead the fight against blood cancer by working with families & communities to recruit bone marrow donors & provide patients with second chances at life. College learners have designed and built a bird table with Mr Hayes in their BTEC Construction course. They have now presented it to Mr Warrington and his landbase learners.